The most common use of gold is for jewellery, especially wedding bands. 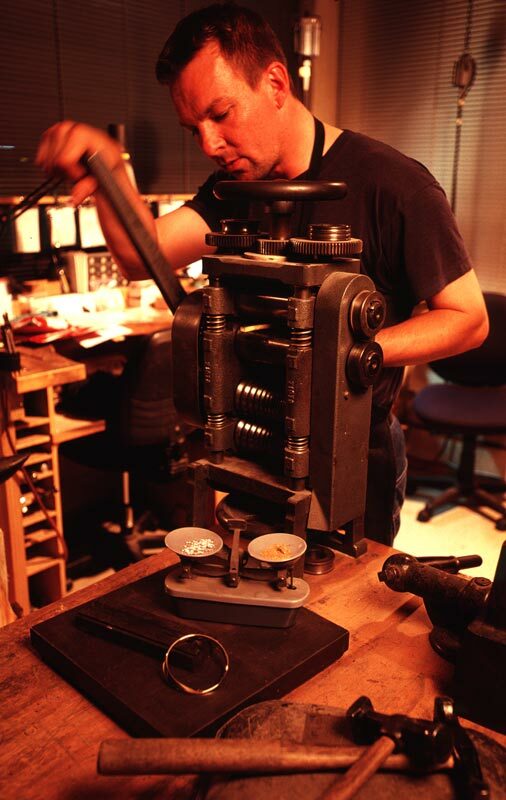 Here, Thorkild Hansen of Nelson, a goldsmith, works on a gold ring for the movie trilogy The lord of the rings, which was filmed in New Zealand. In the movie more than 40 variations of the ring, not all made from gold, were needed to fit different fingers and to get certain shots.